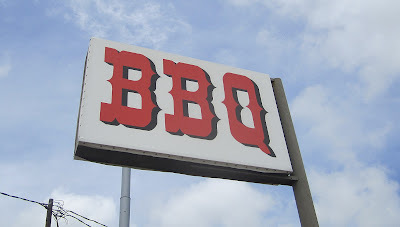 Those three friendly letters: B B Q , are the only thing you can see from the interstate at the intersection of I-20 and Texas 34 on the southeast side of Terrell. I've reluctantly passed them by on many trips but finally had time to stop today. 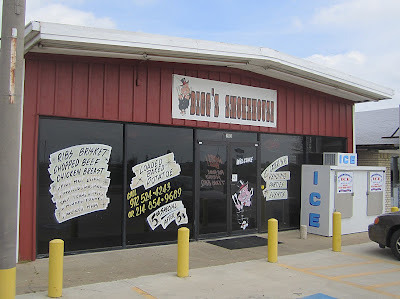 This little shop is on the northeast side of the I-20 Texas 34 interchange and has wonderful smell of smoke both inside and out. 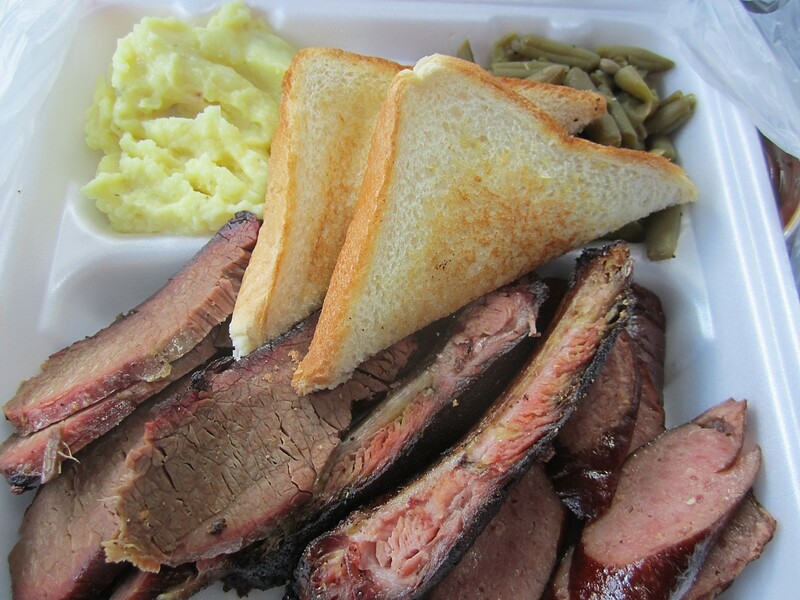 I ordered a 3 meat plate to go with brisket, ribs, hot links, tater salad, and green beans. My order came out quickly and hot and I was back on the road in no time, but not before a few nibbles. The brisket was a little dry but plenty tender. 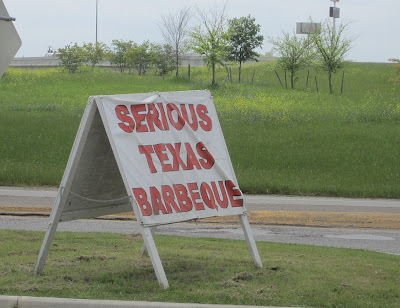 No discernible smoke flavor was noted but there was good beef flavor with bit of salt. The ribs were tender and left a perfect KCBS bite mark. 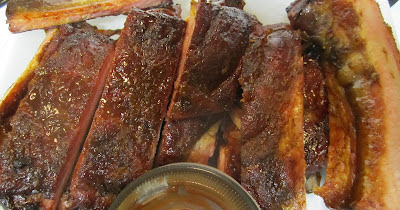 Again, no smoke flavor was present, but the dry rub had a spicy and sweet kick that made for a very nice rib. Good bones. The hot link was not. Not spicy and not heated. Tasted like a large hot dog. The potato salad was very different. In fact, at first, I thought I had gotten mashed potatoes by mistake. However there was definitely some mustard in there and a bit of onion, but it mostly tasted like mashed potatoes! The green beans were average. I managed to get the sauce on the side and found it very interesting. It is a very sweet, thick sauce, but has a fine spicy bite at the end. A tad too sweet for my liking, but it made for some excellent dipping of the slightly dry brisket. Overall, I'd say this is a good average Texas Q joint. Well worth a stop if you're passing by, but not worthy of a special trip. In need of a quick dinner, I stopped by North Main BBQ in Euless for a to-go rack of S&T ribs. They are now up to $17 a rack but worth every penny. The latest from Yahoo. #15 of the best restaurants in the U.S. I think the line just got even longer. Joy!